Elegant apartment in an old building, 100 m from the sea and in front of a very well-equipped playground. The apartment is on the first floor without elevator (behind the house 2nd entrance on the ground fl.). Kitchen, large living room and two bedrooms with private bathrooms. Beautiful views of the famous church of the 15th century Sant'Andrea in Levanto. In the lively town of Levanto with its beaches and characteristic old town you will find shops and services of all kinds. Levanto is a very popular destination for surfers. 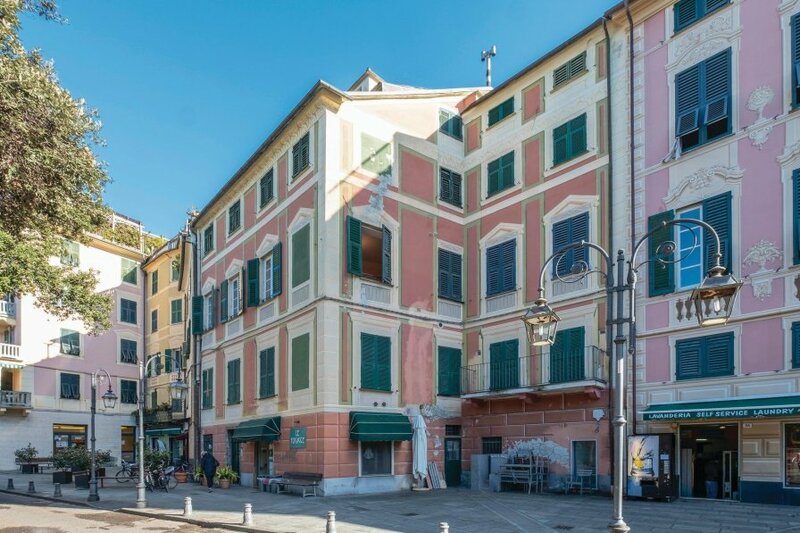 Ideal base for exploring the Cinque Terre (4 km, also with the ferry), the green Val di Vara – famous “organic” valley (36 km), Portovenere - the pearl of the Gulf of Poets, the bustling port city of La Spezia with its medieval old town. Availability of a free parking pass for the guests (parking places depending on availability). Arrival between 5 pm - 8 pm only. This beautiful apartment was originally built in 1600 and refurbished in 2006. The agent has rated it as a four star property so it is a well-equipped apartment with above average furnishings. It is also great value for money. The apartment is only 200 metres from Levanto. It is set in a very convenient location, just 100 metres away from a sandy beach. There's also a restaurant only 200 metres away. The apartment has free cable internet. You can also park on-site at no extra charge. The apartment is well equipped: it has a refrigerator, washing machine and dishwasher.